Based on the success of their inaugural exhibition in Bangkok in June 2013 The "Inevitably Imperfect" artist collective is coming together once again. 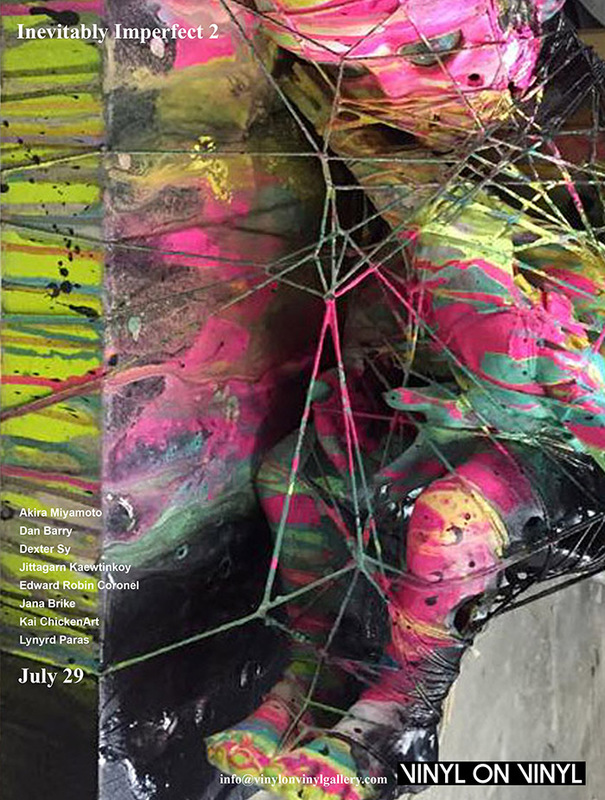 This July, experience a group exhibition of international scope organized by artists Dexter Sy and Dan Barry, as Vinyl on Vinyl Gallery presents Inevitably Imperfect 2. This exhibition showcases 8 artists and their personal interpretations of the purposely ambiguous theme Inevitably Imperfect - while simultaneously exploring layers of connections that exist within the New Contemporary Art Movement worldwide. Open to the public, the Inevitably Imperfect 2 opening reception starts 6pm on Wednesday, July 29th. Each artist will present multiple artworks that will be installed on two floors of Vinyl on Vinyl Gallery. The exhibition will run until August 15th, 2015. The final list of participating artists is diverse – in artistic process, in media, in content, and in personal background. Many of us have known of one another via social media, some of us have exhibited together in the United States and Europe, but this is the 2nd time that we will all show together as a collective – and our 2nd time exhibiting together in Asia. We were excited to see how this unique group of artists would interpret the theme Inevitably Imperfect.